Nintendo's E3 press conference promised surprises but despite two new Mario games, more details on Wii Fit Plus and Wii Motion Plus and the return of the Metroid franchise, it didn't manage to compete with the Xbox Natal announcement that opened the exhibition. Nintendo showed off an updated and co-op Super Mario Bros game for Wii, showcased Wii Motion Plus and Wii Fit Plus and announced Super Mario Galaxy 2 and a new Metroid game as it took to the stage. There was much pre-keynote talk of a new controller for Wii, but it was the Wii Motion Plus that was pushed, despite being announced last year. Paired with Wii Sports Resort it certainly looked fun but, although the return of Mario in New Super Mario Bros (and a four-player co-op mode), and in Super Mario Galaxy 2, got the crowd cheering it perhaps didn't offer the excitement that Xbox's Project Natal did at the launch of E3. One announcement that will cheer many is a revamp of Wii Fit, with Wii Fit Plus promising to bring a more cohesive exercise experience for the 11-million-selling Wii Balance Board. Author James Patterson' Women's Murder Club franchise is coming to the Nintendo DS as well as Cop: The Recruit for a 'more gritty' gamer and Style Savvy, a fashion game. There was an option to automatically upload images to Facebook from the DS – likely to prove popular with the kids, and Warioware Myself will allow the creation, and sharing of microgames on the portable console. 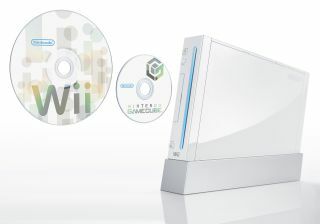 There was also the bemusing announcement of the Wii Vitality Sensor; which looks like a fingerprint reader and has apparently been introduced to attract both core gamers and noobies alike but was not put into any kind of gaming context. A new Mario 3D game for Wii was left until late – with Super Mario Galaxy 2 announced and providing some much-needed thrills and then an updated Metroid closed out proceedings. But in truth, Nintendo's E3 keynote perhaps did not carry the wow factor that fans had been desperate for – especially after Microsoft's Project Natal for the Xbox opened the show with a bang on Monday.